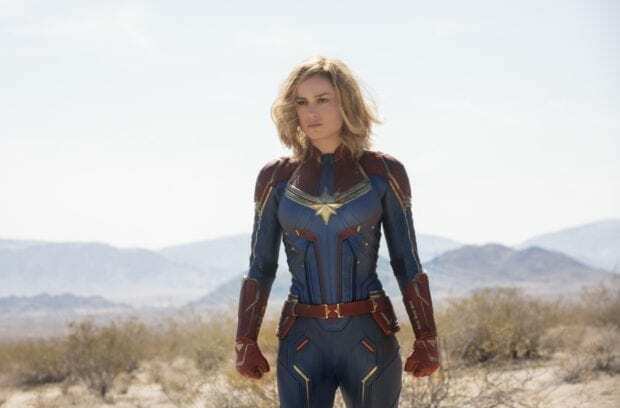 Brie Larson appeared on Good Morning America today to share the first look at the Captain Marvel Trailer! After the wonderful pictures that were released last week, I've been tapping my foot waiting for the new trailer. *Commence screaming* I've been reading the Captain Marvel comics since they announced the upcoming movie. 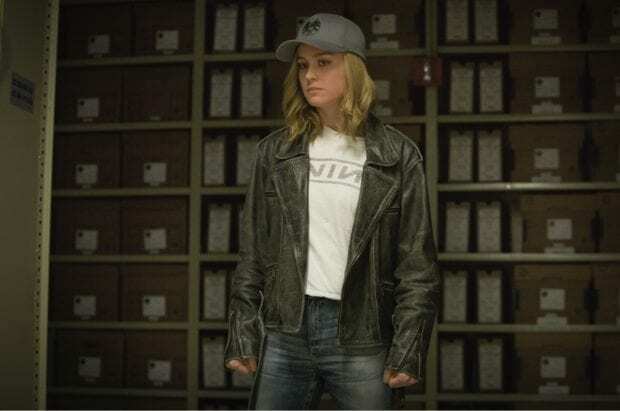 Carol Danvers is my spirit animal. She's mouthy and a huge Star Wars nerd. We would be best friends IRL. But enough of me fangirling all over the place, let's watch the new trailer!!! Blockbuster Video y’all! And this killer Nine Inch Nails shirt. 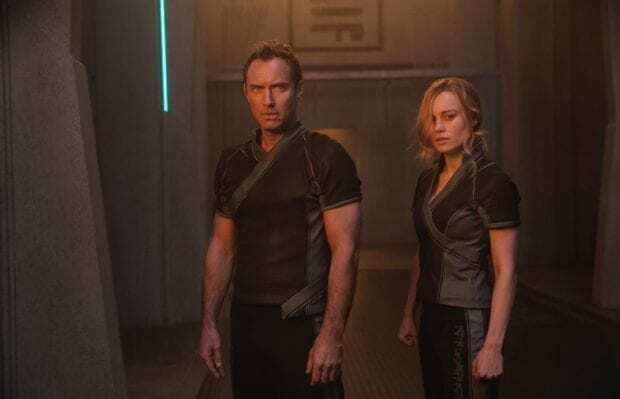 Carol Danvers leaves earth to join Starforce on the Kree planet of Hala. 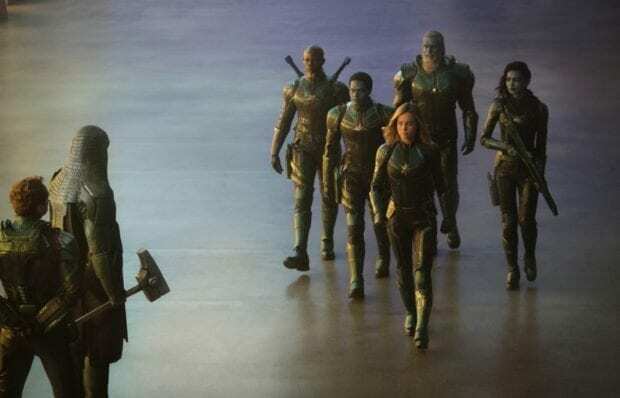 Members of Starforce include Carol, Korath (Djimon Hounsou from Guardians of the Galaxy), and Minn-Erva (Crazy Rich Asians’ Gemma Chan). Jude Law plays the commander of Starforce. 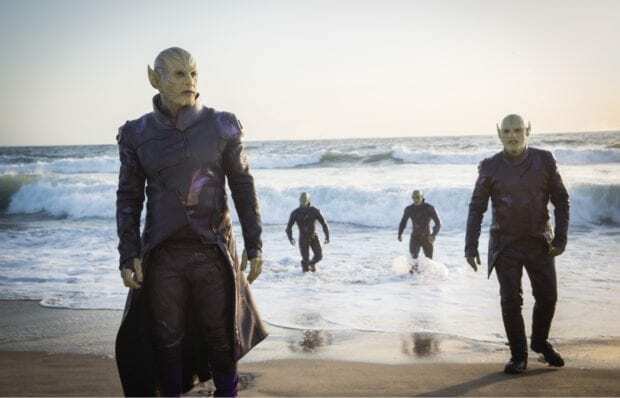 Marvel brings the Skrulls to the MCU. The leader Talos is played by Ben Mendelsohn. They have to ability to shapeshift and look like humans. Talos goes undercover as a human working within S.H.I.E.L.D. Speaking of S.H.I.E.L.D. 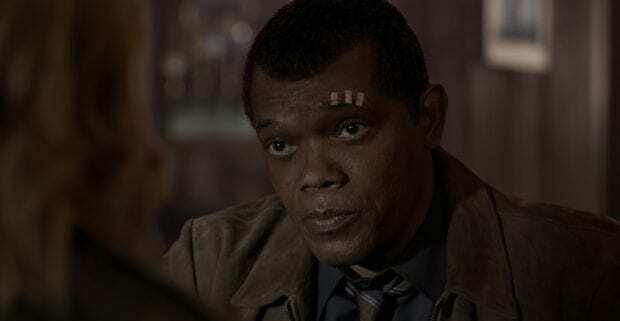 we see Nick Fury without his eye patch and all baby-faced! But my main man, agent Phil Coulson makes an appearance. 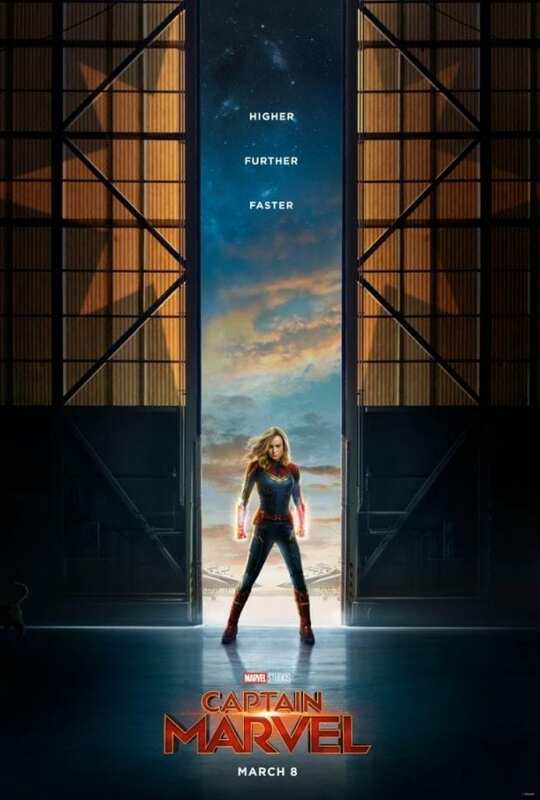 Captain Marvel hits theaters March 8th, 2019! Smart move on their part with the nostalgia craze to start it in a BLOCKBUSTER!!! SUPER! I know! I LOl’d when I saw it.